Advanced Machine & Tool, AMT, of Fort Wayne, Indiana, saw considerable productivity improvements by using EPLAN solutions and has switched from AutoCAD Electrical to EPLAN. 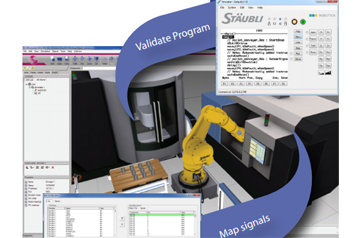 Time-consuming product development steps, like device tagging, wire numbering, and machine design standardization, including archiving and re-using recurrent content, have been simplified and accelerated. The process that led Advanced Machine & Tool Corporation (AMT) of Fort Wayne, Indiana, to adopt EPLAN three years ago had an unusual genesis. 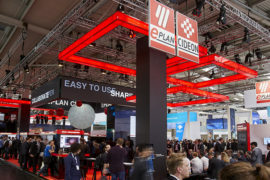 Most companies switching to EPLAN do so after recognizing their existing CAD software isn´t sufficient for their current or future requirements. 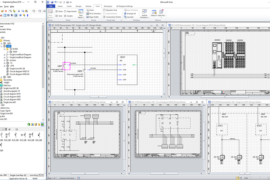 AMT engineers, working in AutoCAD Electrical, didn´t sense they were lacking anything until a major auto industry customer made a point of stipulating it wanted EPLAN electrical drawings for the machines it orders to expedite the production of documentation and improve their accuracy. 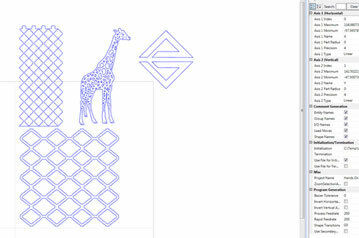 This set AMT researching whether EPLAN was indeed a better option.. 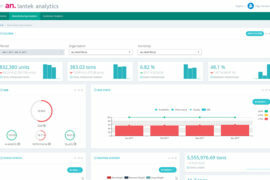 Deciding it was, AMT began a gradual process of switching all electrical and fluid power assignments to the EPLAN Platform. Today, the engineers are happy the company switched. »I thought we were comfortable with our old CAD system, but I sure wouldn´t go back to it now,» says electrical engineer Mark Lohrman. AMT specializes in the building of coiling and winding equipment and other machines used in the production of electric motors, generators, alternators and other devices for the automotive and other industries, much of it for OEMs. The engineering phase of fulfilling an order can take as little as three days, or as much as 60 weeks for the most elaborate projects, but a typical order involves a customer wanting a single machine to produce a new motor or for augmenting or streamlining current production. »It might be as simple as adding a machine similar to one they have now, or showing us a product they want to produce and asking, ´How do we manufacture it?´,» says Lohrman. Besides the one automotive customer that required EPLAN documentation, AMT took a conservative approach to implementing EPLAN. Projects were benchmarked to verify productivity gains and over time, more and more projects were done in EPLAN. »Now we are at a point where regardless of what is being released, we do it in EPLAN,» says Lohrman. Switching to EPLAN has made it possible to generate accurate and well-structured documentation faster than previously possible. For an assignment that might have taken two weeks working in AutoCAD, the biggest savings using EPLAN – about 23-28 work hours – were achieved in four areas. – Device tagging and wire numbering used to be a manual task. Now it has been automated along with the generation of the actual device tags, wire numbers and terminal tags. AMT engineers use the internal functionality of EPLAN to set up the printers by transmitting an Excel spreadsheet with all the data… 4-5 hours saved. – Error-free terminal diagrams and BOMs are automatically generated… five hours saved. – Standard circuitry is archived and re-used from project to project… 8-12 hours saved. – Fluid schematics have been integrated into the overall project, eliminating errors with devicenaming and missed components… six hours saved. For larger projects, the savings are proportionately greater. 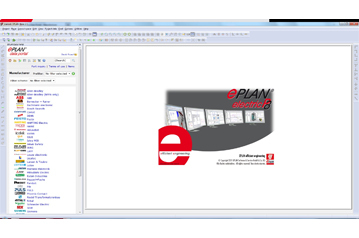 For AMT, EPLAN´s support has made for a smooth transition. »We get a quick turnaround when we make a request – usually within the day.. (An EPLAN support technician) can go online and see my screen, he can see the problem, which makes trouble-shooting so much easier.» AMT´s way forward with EPLAN is likely to include closer integration of electrical and fluid design as more engineers are trained in EPLAN Fluid. That way, two disciplines could work side by side to accelerate projects and optimize outcomes. Other future steps might include adopting EEC One – the new EPLAN Engineering Center One, to begin designing machines mechatronically in functional units. 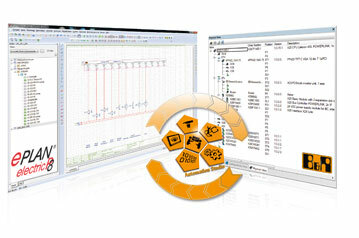 »Data Portal is easy to use.» Access over ¼ million components from over 46 manufacturers with the click of a mouse.